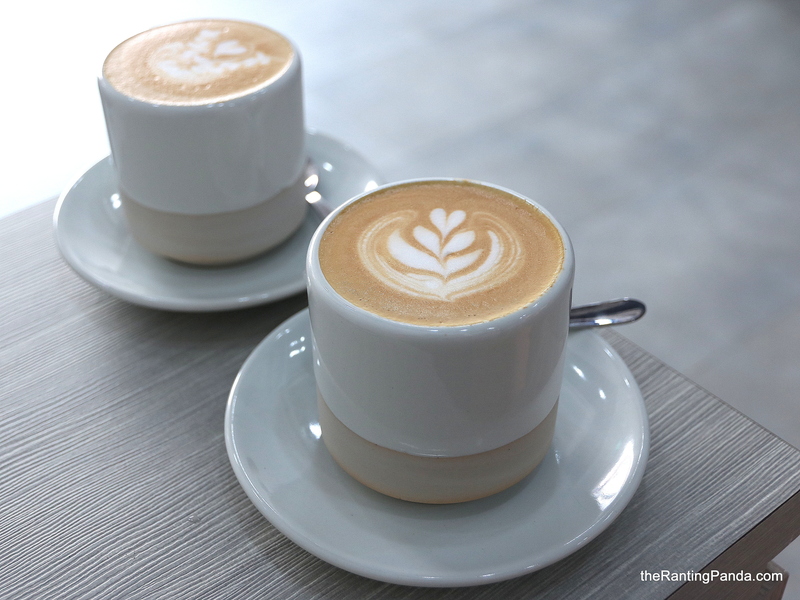 The Place Located at Katong a short walk from I12 Katong, Homeground Coffee Roasters is a relatively new entrant to the Katong precinct which first started out as an online store. My first impression of the cafe space is the unique seating configurations where there are two awkward, opposing row of seats. On one side, there are also art works nailed on the wall which exudes that bit of an art gallery vibe. Moving to the front of the cafe, there is only one proper table available for bigger groups and a further peek into the kitchen, I spotted their coffee roasting machine. As the name suggests, Homeground does their own coffee beans and they do supply to other cafes in Singapore as well. The Food Bagels are big on the menu here if you are a fan. Otherwise, there are cakes and pastries from another local bakery, The Bakery By Woodlands Sourdough. Coffee is served in 4oz (S$4.50) and 6oz (S$5.50), where I had the Flat White, served in a nice ceramic cup. The coffee is medium-bodied for me and has a pleasant note. I also tried the Lemon Pound Cake (S$6), which is not too sweet for me. The texture is not too dense, which makes it an easy pairing with the coffee. Rants The unique design of the seats? It’s interesting but it also limits the space to solo coffee drinkers or couples, and takeaways. Will I Return Again? Homeground Coffee Roasters is a great addition to Katong if you ever need a caffeine fix in this precinct. While the space is not that friendly in terms of tables for big groups, it may just be a good idea as well to enjoy that intimate coffee conversation with your partner or close friend.